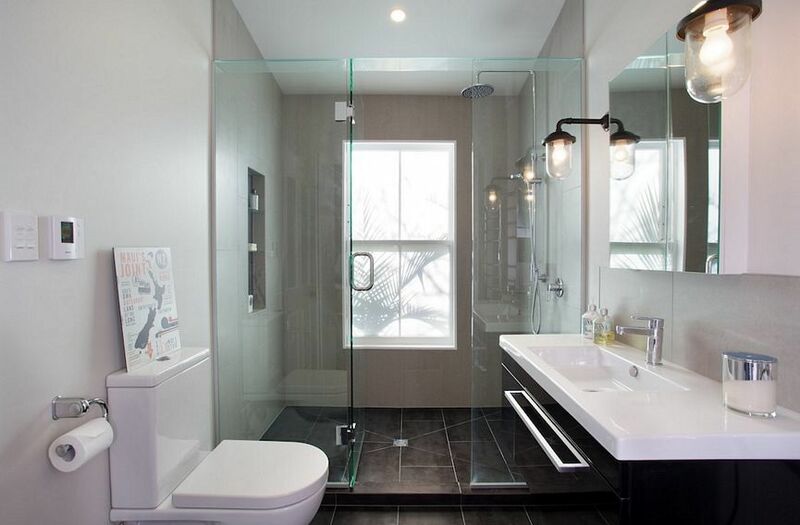 After a tragic fire that destroyed everything inside this home, the owners had to renovate a master bath and ensuite for the second time since buying their home. The footprint remained the same but with the original materials no longer available, the design process had to start fresh. The main bathroom tiles are a beautiful Italian porcelain with the look of limestone. Diamond shaped tiles in the same material are used as backsplash and alcove accent while natural pebbles on the floor of the shower pick up the warm timber shade of the custom stained vanity. 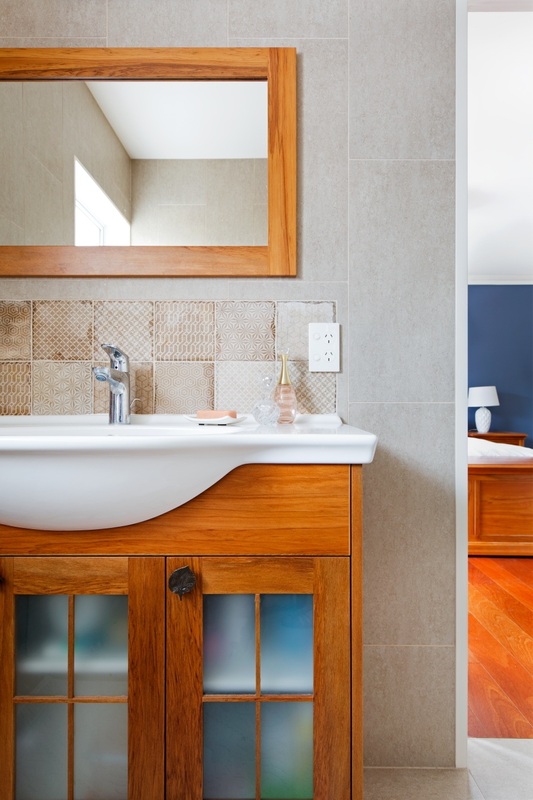 In the ensuite, a custom built vanity, sized to fit this petite space, is stained to match the Rimu bedroom suite that can be seen through the door. 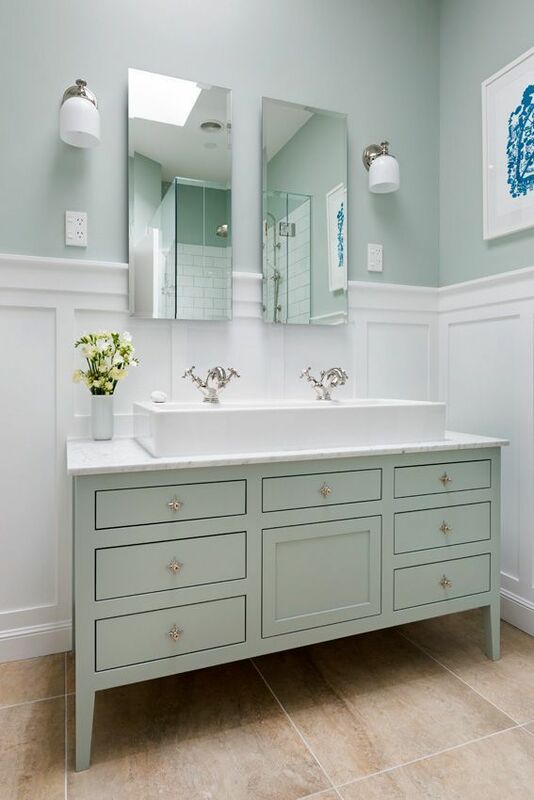 Matching framed mirrors complete the warm and inviting feel of these two bathrooms.